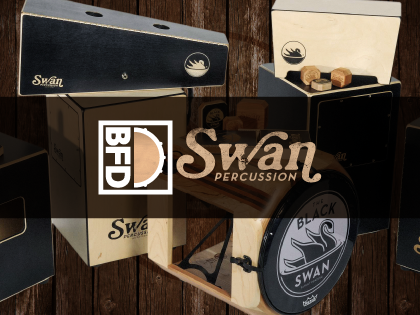 BFD Swan Percussion is an expansion pack for BFD3, BFD Eco and BFD2 with innovative percussion instruments and a suite of Crescent effect cymbals. Swan Percussion's original creations are inspired by a variety of world percussion. The 'Black Swan Drum' is a new take on the Ghanaian Gombe framedrum featuring a tom head. Other highlights include the 'Swango', a reinterpretation of the bongos, the Afro-Cuban Batá-style 'Batudu' and a variety of shakers and cajons. 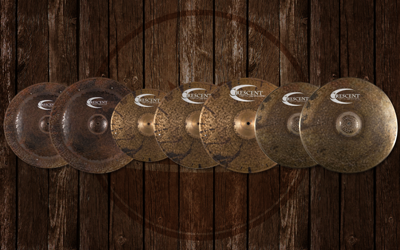 The included set of Crescent Haptic series effect cymbals provide characterful crash, resonator, crash china and ride china cymbal sounds. Played variously by hands, rods, mallets and sticks, BFD Swan Percussion also comes with a selection of presets and funky percussive Grooves perfect for all music styles requiring dynamic, exciting percussion.